Traversing a trail is done right with footwear that's waterproof, durable, supportive, and slip-resistant. But where can you find a combination of all of those qualities? You can find them in these Danner Men's Walnut 62272 Mountain 600 4.5 Inch Hiking Boots from W ... (see full details) (see specifications) #62272. Traversing a trail is done right with footwear that's waterproof, durable, supportive, and slip-resistant. But where can you find a combination of all of those qualities? You can find them in these Danner Men's Walnut 62272 Mountain 600 4.5 Inch Hiking Boots from Working Person's Store. When it comes to protection from wetness, you can rely on these men's walnut brown boots. They feature Danner Dry waterproof technology, which makes sure your feet stay dry. It makes them the perfect choice for outdoor use. When it comes to durability and slip resistance, you can also trust these men's shock-absorbing boots. These are built with a full-grain leather upper that's tough and quite resistant to wear and tear. Beneath the hardy leather upper is an equally strong Vibram Fuga outsole. But the outsole found on these waterproof Mountain 600 boots offers more than just strength; the outsole is also slip-resistant. It is made with Megagrip technology that offers superior grip on both wet and dry surfaces. The increased traction you'll feel will reduce slipping and falling. And when it comes to comfort and support, you can count on these men's leather boots. For starters, they feature a cushioning, open-cell polyurethane OrthoLite footbed. The footbed offers support underfoot, but because of the open-cell design it also offers heat-dissipation, even weight distribution, and increased air circulation, which means your feet will be cool and sweat-free wear after wear. 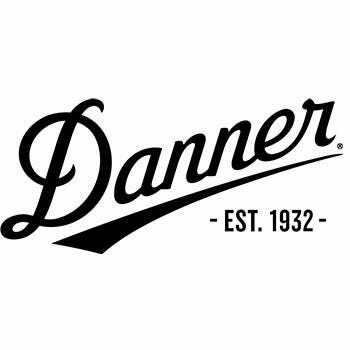 In addition to the footbed, the slip-resistant Danner boots are made with a Vibram SPE midsole that offers maximum rebound, comfort, and support. It works with a nylon shank to absorb the shock that results from ground strike impact. As your feet hit the ground, the force of the impact won't be absorbed by your feet and ankles. Instead, the shank and the midsole will take the hit. And lastly, these 4.5-inch boots are built with a TPU heel frame to add even more support and stability. The only way to hike is to do it with support, dryness, slip resistance, and durability, so get these Danner Men's Walnut 62272 Mountain 600 4.5 Inch Hiking Boots here at Working Person’s Store today. Danner Boots: Men's Walnut 62272 Mountain 600 4.5 Inch Hiking Boots is being added to your cart.